All seven provide the integral character needed for the spirit of hospitality to do its best work. In his book, "The Spirit of Hospitality," Stuart discusses each one in detail, first defining it, and then offering practical advice about how to improve it. It’s a heart centered message that reminds us that a kinder andgentler world is not only possible, but critical to success in both business and our personal lives on a daily basis. Currently the CEO and president of LS Hospitality, Stuart holds a Bachelor of Science degree from Cornell University School of Hotel Administration. 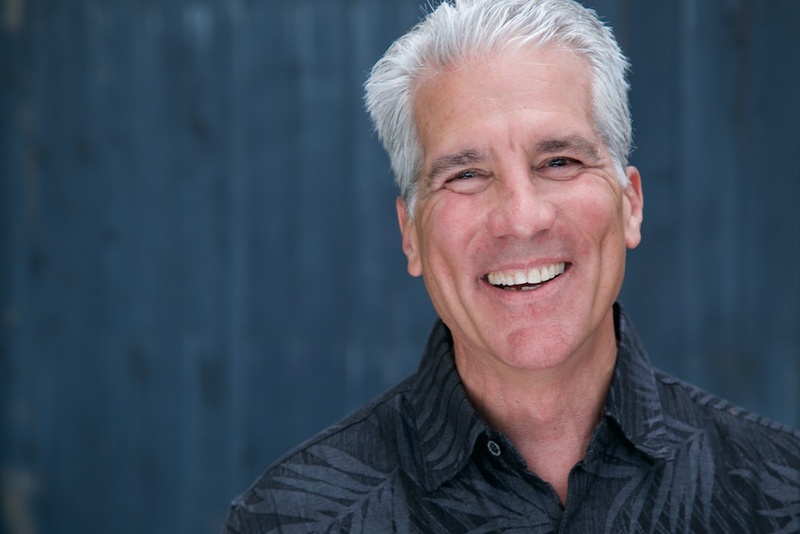 Over the years he has positively impacted his teams and brands that include the Walt Disney World Dolphin, NASCAR Café, Motor City Casino Hotel, Hilton Worldwide, Loews Hotels at Universal Orlando Resort, and Southwest Airlines. Read on for a excerpt from "The Spirit of Hospitality" and a Q&A with the author. Whether in hospitality or any other service-related business (retail, healthcare, hairdresser, construction, etc.) where crew members are interacting with guests, from a Human Resources standpoint, it’s imperative that leadership first identify individuals who possess the spirit of hospitality. As leaders, it’s important that we set the culture at the company so that everything we do resembles putting others before ourselves. This flows from genuinely caring about those we come in contact with (both internal guests and external), and it must be at the core of what we do. There will always be issues at work, just as there are always issues in life. How we handle these issues will vary greatly based on whether or not serving others first—even our most challenging associates—is at the core of who we are and what we do. For job commitment with a purpose, we must teach character, not success, focusing on building character, not characteristics. What does this look like in reality? While one business culture focuses on character—humility, servanthood, and kindness—another focuses on the process and convenience of the franchise. One is based on the heart of the business while the other is based on the mechanics of the business. What can we learn from this? It starts with the leadership and flows up through the team to our guests. We can’t expect our team members to follow our lead to live out the spirit of hospitality in our service to others if we don’t walk the talk ourselves. We must model it by living it. We must be the first to do whatwe expect others to do when they’re looking to us for direction and leadership. And this starts with the CEO and his leadership team, not just at the local establishment leadership level. If we want our team members to go above and beyond our expectations, we must set them up for success by leading by example and training them to do their jobs in like manner. The more we expect from our team, the more we must cultivate their skills and focus their career objectives. Then we must empower them to do so by giving them room to make wise decisions based on what we’ve shown them. If we provide room for our team members to grow as entrepreneurs, they will take our company to the next level with very little direction from corporate. This can only become a reality if we allow room for trust, trials, and time. I have seen this concept accomplished multiple timesover many brands I’ve had the honor of serving. A: It’s very simple, really. The spirit of hospitality has gone missing from almost every aspect of life, and I wanted to not only remind people of its beauty, but show them how to have it in their own organizations and lives. I’ve lived it. I’ve seen its power to connect people to each other and to companies. I know firsthand what it looks like and what it can do when it is religiously practiced. 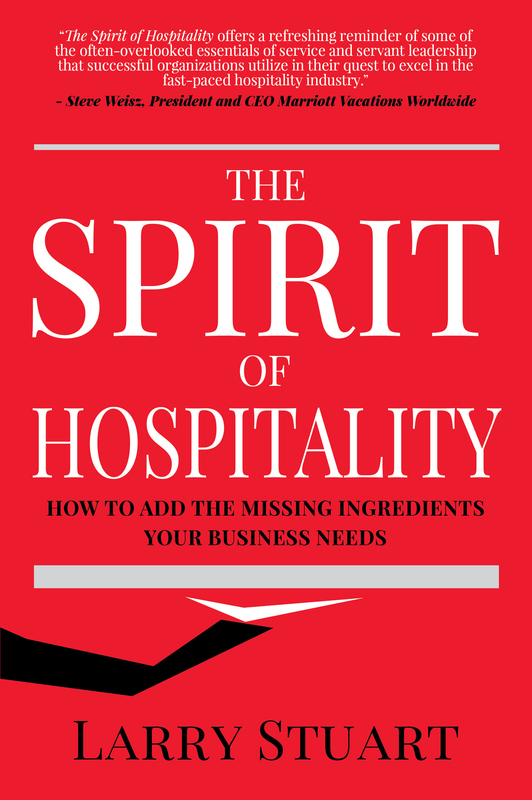 Q: The Spirit of Hospitality is filled with compelling stories and practical how-to’s. Where didthose stories come from, and how did you learn how to do this for yourself? A: It started early for me. My father was the famous tenor Enzo Stuarti and our house was filled with the famous artists and entertainment journalists of the day. My job was to take good care of them, shine their shoes, wash their cars and serve hors d’oeuvres. When my father was on tour, I was his sound and light man. Once, in Bermuda, my dad asked a hotel owner if he would teach me about the hotel business. It was an unforgettable experience for me. I worked there for a year and did everything imaginable and really learned the hotel and restaurant business from the ground up. I learned right then and there that great service wins the day every time. You have to deliver it no matter how you feel or how difficult it may be. Then, I went to Cornell and got my formal education on the subject. From there, I went out into the world and used all of what I had gleaned from these amazing experiences and helped bring the spirit of hospitality to the greatest names in the business. A real privilege. A: I’d like to think this book will serve as a guide to a kinder and gentler world. The idea ofserving others has somehow gotten a bad rap. The truth is, it’s really the only way the world works well; the only way to stay married; the only way to build a sustainable business; the only way to be a good friend. I’m hoping this book and all the stories in it will spark the spirit of hospitality that lives in everyone. If this works, it should be evident when you walk into a McDonald’s sometime or check into a hotel. Every company wants engaged customers, those people who strongly connect with you and your brand and keep coming back and spending more and telling their friends about you. Yes, there’s more money to be made and I wanted to remind business readers of that truth. People have lots of choices these days, and they don’t have to choose you. The spirit of hospitality will tip the scales in your favor in a way that nothing else will. To learn more about Larry Stuart, click here.